The Yongnuo RF605N kit includes two radio-controlled OCF synchronizers that can trigger flashes in manual mode at a distance of up to 100 meters. 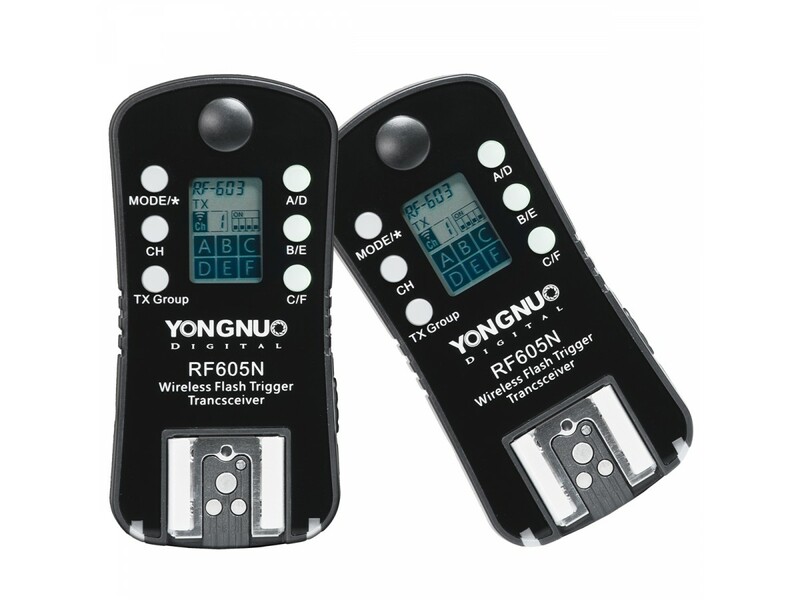 A new feature for the series RF605 triggers is the ability to divide the strobes into 1 to 6 groups. Whether each group will fire or not is determined by the RF605 transmitter on top of the camera. 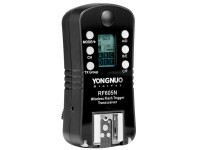 The series RF605 is backwards compatible with the each of the older series of triggers by the same manufacturer (RF602 and RF603/RF603II) and can also be triggered by a standalone YN560-TX controller or the controllers built into the Yongnuo YN660 and YN560 Mark IV flashes. 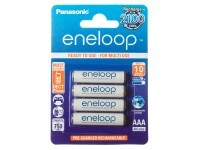 Each of the two RF605 modules can operate as either a transmitter or a receiver. The modules themselves are compatible with all speedlites that have a standard ISO hot shot and will trigger them without a hitch but the 'for Nikon' marking means that when you half-press the shutter button, the RF605N on the other end will wake up a Nikon ETTL-compatible flash that has entered power-saving mode. 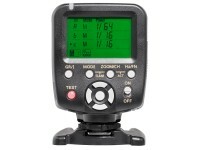 The RF605 pair can also be used as a remote shutter release for your recent Nikon camera. It comes with both type DC0 and type DC2 adapter cables for Nikon; adapter cables for other systems (Canon, Pentax, Olympus, Sony/Konica) can be ordered separately.